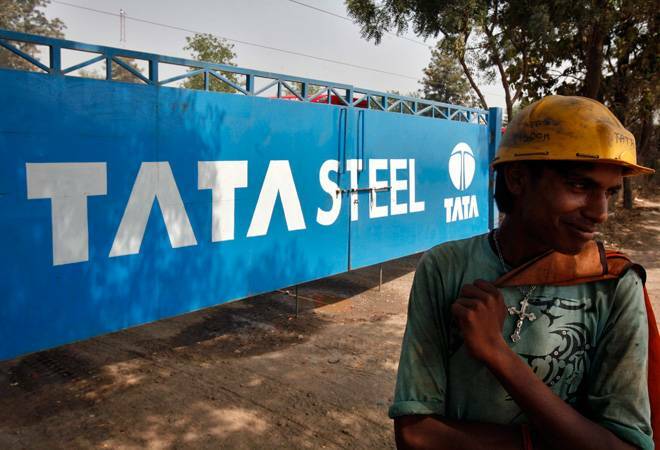 Domestic steel giant Tata Steel reported consolidated net profit of Rs 14,688.02 crore for the March quarter. The company had clocked a net loss of Rs 1,168.02 crore in the corresponding quarter of the previous fiscal. Domestic steel giant Tata Steel today reported consolidated net profit of Rs 14,688.02 crore for the fourth quarter ended March 31, 2018. The company had clocked a net loss of Rs 1,168.02 crore in the corresponding quarter of the previous fiscal, it said in a BSE filing. The total consolidated income of the company increased to Rs 36,407.19 crore in January-March 2018, from Rs 35,457.06 crore in the same quarter of FY17. The total expenses of the company stood at Rs 32,626.42 crore during the quarter under review as against Rs 31,132.02 crore in the year-ago period. T V Narendran, CEO & MD of the company, said: "Tata Steel performance has been robust in FY18 driven by our strong execution strategy and supported by favourable global demand-supply balance. During the year, our Indian operations delivered volume growth better than the market on the back of the ramp-up at our Kalinganagar plant and the strength of our marketing network and brand equity". He said growth was broad-based across marketing segments and added that Tata Steel Europe had a good quarter despite currency headwinds. "The UK pension scheme restructuring process has also been completed. The 50:50 JV discussion with thyssenkrupp is progressing well and we are committed towards building a strong European portfolio," Narendran said. He added that the company continues to execute its strategy of expanding footprint in India. "Kalinganagar Phase 2 expansion is progressing well, which will take our capacity from 13 million tonnes (MT) to 18 MT of crude steel. I am also happy to share that NCLT has given its approval on our resolution plan for Bhushan Steel. We have also received CCI approval for this transaction," he said. On the steel outlook, he said the company is closely watching the developments in global steel trade because of US' protectionist measures and added, "However, we continue to be bullish on steel prices and spreads with improving demand situation in India". Koushik Chatterjee, Executive Director and CFO, said FY18 has been a good year for the company and the group delivered a strong top and bottom line growth. "We completed 2 large financing transactions, which apart from providing funds also gives us significant flexibility to pursue our growth plans. Our USD 1.3 bn international bond issue in January 2018 helped us extend our maturity profile. We also successfully completed a USD 2 billion Rights Issue, one of the largest equity issuance in India," he said. The shares of the company closed at Rs 622.05 apiece on the BSE, down 0.32 per cent from the previous close.